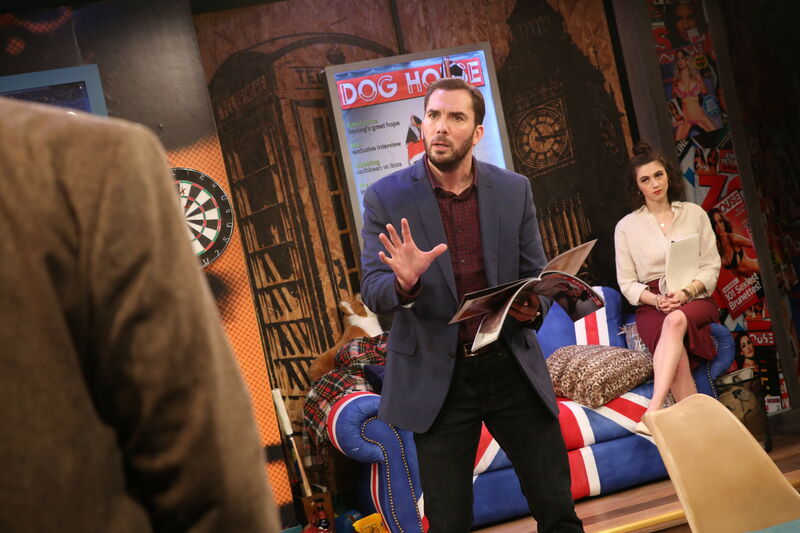 The two-person drama makes its U.S. debut at Stages Repertory Theatre. 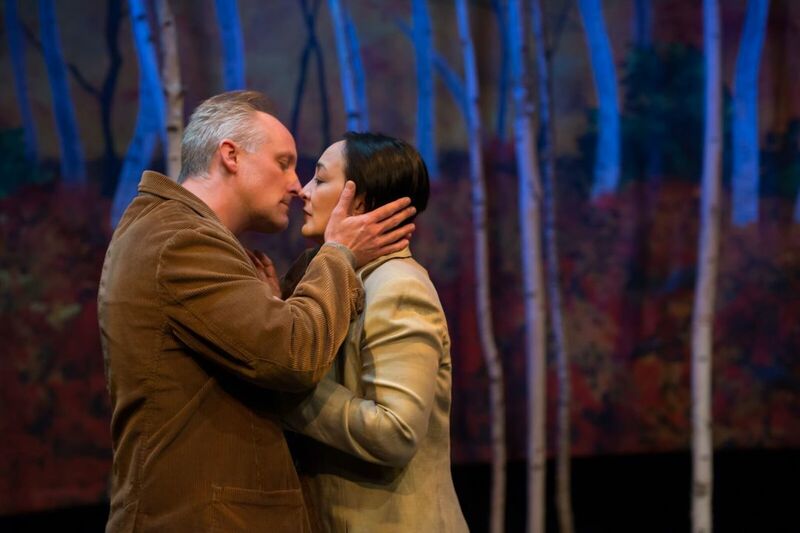 Eric Dean White and Lisa Tejero in the Upstream Theatre production of De Kus (The Kiss). 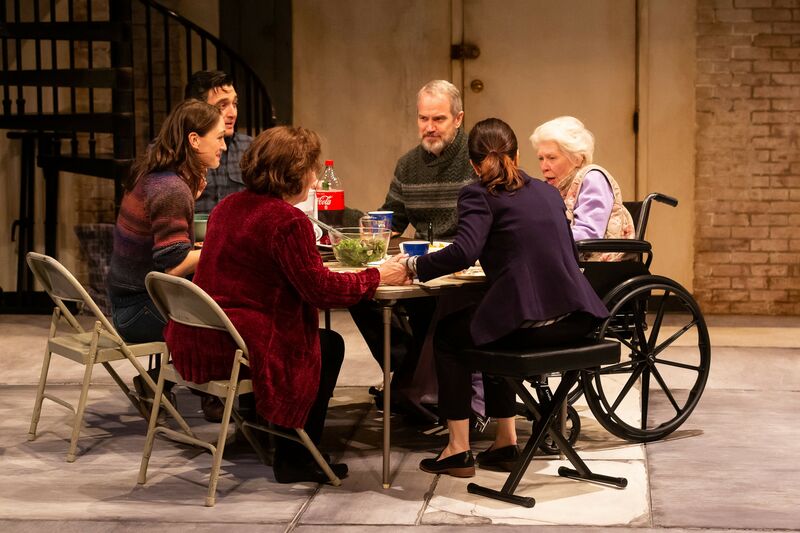 Houston's reputation as an international arts authority continues to grow apace with the U.S. premiere of Amsterdam playwright Ger Thijs's De Kus (The Kiss) at Stages Repertory Theatre. Thijs spoke to theater-goers before the curtain call on Friday, sharing that his play was based on a real woman who battled cancer—a fitting topic during breast cancer awareness month. 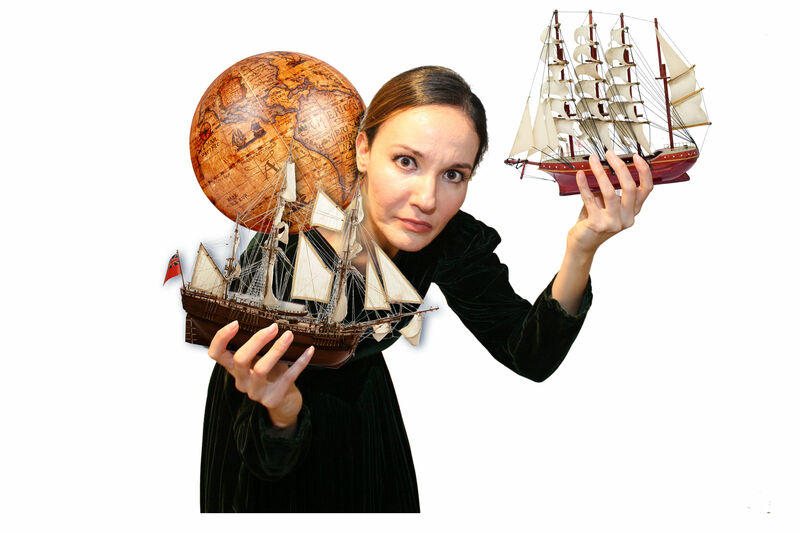 His two-person play explores her story. De Kus is a co-production with St. Louis's Upstream Theater and part of Stages’s long-term plan to partner with regional and national theaters to further diversify Houston’s theatrical offerings. The beautiful set boasts fall trees, falling leaves and a bench for the two actors, along with impressive lighting by Steve Carmichael. Lisa Tejero plays the unnamed Woman who frets about the possibility of having cancer on her walk to the doctor's office, where she meets an unnamed Man (Eric Dean White). As the dialogue unfolds, she confesses her worries to the stranger, and the story further explores their chance encounter. However, the production isn't as sentimental as A.R. Gurney's two-person play and Pulitzer Prize-finalist Love Letters (1988), nor does it carry the philosophical gravitas of Samuel Beckett's Waiting for Godot (1953). The plot is slow, as the playwright mirrors the excruciating process of waiting for a life-altering diagnosis. The Woman tells him that she wants to be “on her own,” but it doesn’t ring true as she keeps engaging him. No wonder he keeps drinking from his flask—she could be pretty insufferable. She claims that she “just doesn’t like being helped that much,” while obviously needing help, but no one knows how. She bashes her husband who, she says disdainfully, “hunts.” She also looks down on the Man, who is a stand-up comedian, bringing out a class-based prejudice that culturally might get lost in translation for some audiences. But eventually, the Woman unravels, yelling “Cancer!” at the audience, even baring her breast in a moment of rage that—honestly—didn’t make a lot of sense. We begin to understand her existential angst, as she comments "Nothing is for sure" and "I haven't been to church in years." But both characters worry about not belonging, as De Kus peppers the dialogue with big questions, like whether happiness is possible and the meaning of life. But the literal kiss, unfortunately, is anticlimactic. The play ultimately feels familiar yet tiresome. Although there was a great Henry James The Beast in the Jungle moment, where the Woman thought "something extraordinary” would happen, nothing did except a kiss she dismisses. When she says, “I haven’t told anyone this,” you realize that some things are better left unsaid.